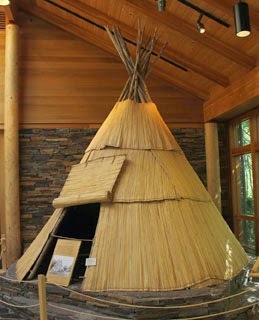 I've seen other teepees used by Native Americans but this one was quite unusual. Reeds were bound together and placed over branch supports. Ingenious.